Our Indian tribal tour now reaches the Riang tribes of India. These Indian tribes are regarded as the second largest tribe of Tripura, and the first inhabitants there. The culture, traditions and the festive enthusiasm of these tribes is worth traveling to. 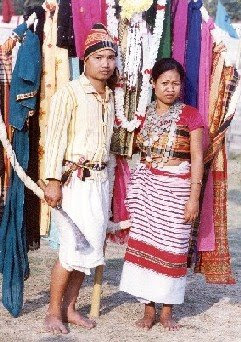 These Indian tribes are found in Deotamura ranges of eastern and central Tripura. You can also extend your Indian tribal tour to Assam, if you wish to see Riang tribes of India. These Indian tribes speak Riang which is a Baric language. Labels: indian tribal tour., indian tribes, Riang tribe, riang tribes of india, tribes of india.